Our Historical Flags are only made in the United States of America! 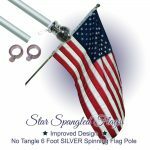 At Star Spangled Flags, all our flags are crafted using high quality nylon and treated to prevent pre-mature fading. Every flag comes with a certification label as proof. View cart “Nylon Gadsden Flag” has been added to your cart. 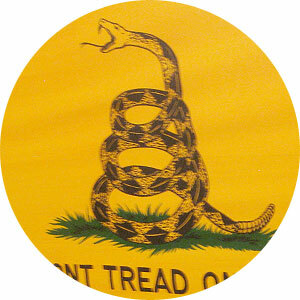 The Gadsden flag is considered to be one of the first flags of the USA. And this one will help keep that initial spirit of patriotism strong. 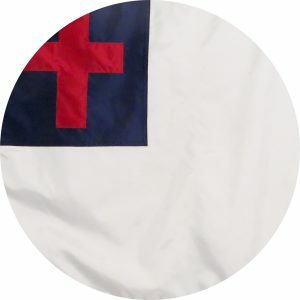 If you're looking for a beautiful yet durable outdoor Christian flag that will last, then our 100% Made in the USA, Christian Flag is the best choice. We use only the hardiest thread, so the stitches stay strong. 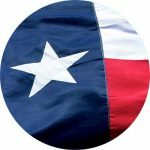 You will notice we use lock stitching to prevent unraveling, so your flags’ stitching will hold much longer than other flags that use only chain stitching. We’ve added quadruple stitching to the fly end helping it last even longer! If you are looking for a Christian Flag for your church or school, or maybe you would like to hoist a Gadsden or Navy Jack Flag as a reminder of when America was fighting for its freedom, then come check out all our Historical Flags. 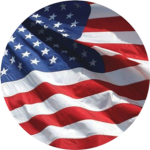 All of our Historical flags at Star Spangled Flags are started and finished onsite to assure government and military standards are satisfied. Our flag manufacturing procedures guarantees that we provide you with unmatchable quality and value when searching for the highest standard in your own Historical Flag. If we may ever be of assistance, please choose [CONTACT] at the bottom of any page. You may send an email or give us a call and we will assist you as soon as possible.